Abba Kovner sits among the ruins of the FPO's former headquarters following the liberation of Vilna. Shortly after World War II, philosopher Theodor Adorno asserted that “to write poetry after Auschwitz is barbaric.” This statement reflects the initial response of many readers when considering poetry and fiction about the Holocaust; namely that any attempt to capture life in the ghettos and concentration camps on the page simply diminishes the horror of the realities faced by those who lived and died at the hands of the Nazis. Yet many survivors and their descendants have used poetry to effectively distill the terror and dread of the Holocaust into words. For some writers, the emotional and personal nature of the form makes poetry the ideal medium in which to express ideas and sentiments that otherwise could not be adequately rendered through art. In short, poetry allows these writers to express the inexpressible. Early poets of the Holocaust, including survivors Paul Celan and Nelly Sachs, wrestled with a variety of interrelated subjects based on their experiences, including profound loss and the nature of victimhood. These issues manifested themselves in poems of stark power and beauty. Later poets have explored themes of memory and Jewish identity in a world “after Auschwitz.” That so many of these works are accessible to many readers only in translation compounds the issues raised by these poems. The following bibliography was compiled to guide readers to materials on Holocaust poetry as well as a variety of poetry collections that explore Holocaust-related themes. It is not meant to be exhaustive. Annotations are provided to help the user determine the item’s focus, and call numbers for the Museum’s Library are given in parentheses following each citation. Those unable to visit might be able to find these works in a nearby public library or acquire them through interlibrary loan. Follow the “Find in a library near you” link in each citation and enter your zip code at the Open WorldCat search screen. The results of that search indicate all libraries in your area that own that particular title. Talk to your local librarian for assistance. Provides comprehensive overviews of the lives and careers of over 300 poets, novelists, dramatists, and memoirists. Appendixes provide lists of works by genre, literary themes, historic events, ghettos, and camps explored in Holocaust literature. Includes extensive reading lists for further research. Presents biographical entries for 223 writers and poets as well as brief critical essays about over 200 poems, books, and short stories. Includes a chronology of Holocaust literature, title index, index of authors by nationality, and a reading list for further study of the subject. 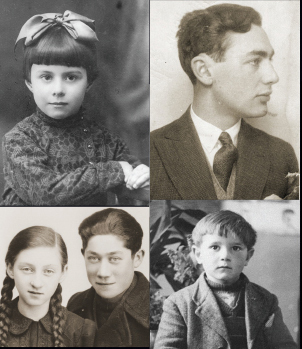 Collects brief biographies and lists works by 33 major poets who survived the Holocaust, as well as important works of art, fiction, and music by survivors. Presents and analyzes poetry written in the ghettos and camps, with an emphasis on themes of faith, morale, and resistance. Includes poems presented in their original language alongside English translations. Traces the theme of “rebirth,” particularly as it relates to the founding of the State of Israel, in the writings of Moshe Flinker and Nelly Sachs. Includes excerpts from several poems as well as endnotes. Presents six essays that address the themes and language of Nelly Sachs’s poetry, with emphasis on the relationship between her Jewish influences and her place in the German literary tradition. Based on papers presented at a 1992 conference at the University of Michigan. An examination of the ways the themes of guilt, mourning, and memory manifest themselves in Holocaust poetry. Includes endnotes. An analysis of Sachs’s and Ausländer’s poetry, with a focus on the poets’ attitudes towards memory and ethics. Includes notes, works cited, and an index. A detailed analysis of the work of Holocaust poet Paul Celan. While Celan is the subject of this title, a few related poets are also considered. Contains notes, an index, and illustrations. Presents a brief overview of Sachs’s life and work. Offers interpretations and analyses of several poems used as examples of “literary resistance” against the Nazis. Includes poems in the original German along with English translations, notes and a bibliography. Literary biography of Paul Celan, with an analysis of his poetry. Poems are presented in both the original German and in English translation. Includes notes, an index and photographs. Provides an analysis of the contradictions in the idea of German-Jewish identity after World War II and its place in the works of Nelly Sachs. Also includes an examination of the importance of various locales in the works of Paul Celan. Includes notes, works cited, and an index. Reviews the poetry of survivor Aaron Zeitlin, whose works are not widely-known due to the lack of English-language publication. Includes translated excerpts of several poems as a way to introduce the major themes of these and other Yiddish and Hebrew poets of the Holocaust. An examination of modern poetic attitudes and styles towards technology and the Holocaust. Considers the connection between contemporary poets and Paul Celan. Includes notes. An analysis of Holocaust poetry with attention to the implications of the poet’s style and language on the meaning of selected poems. Analyzes works by poets of various nationalities and generations, including Dan Pagis, Paul Celan, Anna Rabinowitz, and Micheal O’Siadhail. Key analytical work that provides a theoretical framework for the study of Holocaust verse. Contains numerous illustrations, notes, works cited, and an index. Analyzes various common elements of Holocaust poetry. Examines the unique difficulties and merits of studying Holocaust poetry in a classroom setting. Explores the poetry of the Sephardim and how their works reflect their experience of the Holocaust. Presents translated excerpts of poems written in North Africa and the Near East during and after World War II. Reviews the major poets of the Holocaust who wrote exclusively in Hebrew. Explores the major themes of their work, including the shock of the immediate postwar period, the lamentations of Jewish mothers for their lost children, and the profound spiritual turmoil of the survivors. Includes an extensive list of all authors and works discussed in the book. An examination of the individual experiences of two poets as expressed in their poetry. Contains biographical information, notes, and an index. Detailed account of Sutzkever’s life, using excerpts from many of his poems. Includes an index. An analysis of fifteen various Holocaust-related poems written by Israeli authors. Includes notes and a bibliography. Traces the publication history in Germany of Holocaust-related poetry, drawing attention to the shifting reception these works received in the decades after the war. Provides psychoanalytic analyses of poems written in the camps by well-known poets and songwriters such as Fritz Löhner-Beda and Edgar Kupfer-Koberwitz. Compares and contrasts the poetry of Paul Celan and Nelly Sachs. Reproduces and analyzes several works by both poets. Includes a bibliography. Detailed summary of critical receptions of Paul Celan’s works over his career. Includes an index and extensive bibliography. Detailed study of the works of four post-Holocaust writers, drawing comparisons between their poems and those of Paul Celan, Miklos Radnoti, Primo Levi, and Janos Pilinszky. Detailed analysis of the poetry of Nelly Sachs. Notes the critical reactions to Sachs’s works and her significance in Holocaust literature, including a detailed examination of the theme of spirituality in her poems. Includes two appendices, a bibliography, and notes. An investigation into the surreal nature of Paul Celan’s writing and their connection to existentialism. Excerpts appear in German and English. Contains a bibliography. An examination of the roles of women and the family in Sachs’s work. Includes notes. Examines the conditions and motivations surrounding the creation of Holocaust verse. Provides brief analysis of several poems. Includes biographical information and a bibliography of Holocaust poetry. An analysis of the poetry and prose of Abba Kovner. Contains biographical information. Collection of poems that originally appeared in the Yiddish anthology Lider Fun di Getos un Lagern, edited by H. Leyvik (New York: Tsiko, 1948). Includes brief biographical notes about each poet. Presents poems, some written by survivors, that represent American views of the Holocaust, chronicling the events from Kristallnacht to the present day. Includes notes to the poems, commentary by the poets, contributor details, a list of sources cited, and indices of poets and titles. A revised, second edition was published in 2007 by Time Being Books (PS 595.H64 B573 2007). Collection of poetry written by those whose parents were either victims or perpetrators. Conveys the struggles of the “second generation” to cope with the Holocaust and its aftereffects on their lives and families. Includes biographical notes on each poet and an index. Anthology of verse composed by survivors of ghettos and camps, or by Poles who were spared Nazi persecution but who were nevertheless affected by the Holocaust. Includes brief notes about each author. All poems were translated from the original Polish. Anthology of poems written during the Holocaust as well as works by survivors. Includes dozens of poems and songs written as lullabies for children. Also includes the first published translation of the 1944 opera Der Kaiser von Atlantis, composed in Theresienstadt. Comprehensive, interdisciplinary anthology of Holocaust-related fiction, poetry, and drama, as well as diary excerpts, essays, and reproductions of artwork by survivors. Includes over 70 poems by six major poets. 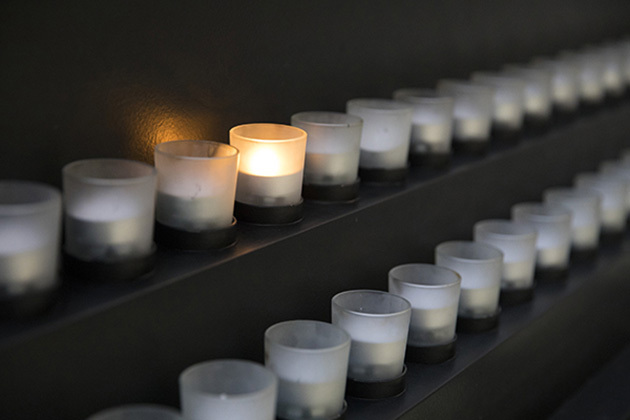 Collection of poetry commemorating the nearly 160,000 Sephardic Jews who died in the Holocaust. Presents the original poems in Ladino, French, Italian, or Greek, alongside English translations. Includes a brief history of Sephardic Jewry as well as an overview of Ladino poetry. Thematically-arranged collection of 119 poems by 59 poets. Contributors include W. H. Auden, Primo Levi, Elie Wiesel, and Anne Sexton, along with relatively unknown poets, many of whom were victims of the Holocaust. Includes biographical notes and indices of poets, translators, titles, and first lines. Presents approximately 280 poems from poets who perished, poets who survived, and second generation poets. Includes bibliographical notes and indices to translators and authors. Collection of close to 40 poems and short stories written by survivors of the ghettos and camps. Brings together 90 poems and 20 short stories written by a wide variety of Jewish and non-Jewish writers, including many relatively unknown authors, that explore the experiences of Holocaust survivors and mourning for those who were lost. Includes brief biographies of each contributor as well as a bibliography. Collection of poetry and drawings made by the children of Theresienstadt. Provides background information about the camp, notes, an epilogue, and chronology of events. Includes one of the most well-known Holocaust poems: “The Butterfly,” by Pavel Friedman. A collection of poems about Auschwitz from people who were imprisoned in the camp, were related to prisoners, and others. Presents works translated from Polish and other languages, with some originally written in English. Includes bibliographic notes on the contributors, and an index of poems and translators. Ask at the reference desk to see the subject files labeled “Poetry” containing poems and related newspaper and periodical articles.